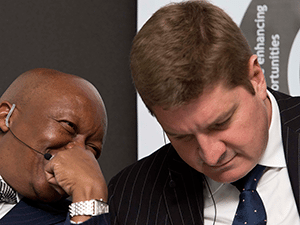 After more than nine years with the company, Martin Prinsloo has resigned from his position as chief financial officer and executive director of Royal Bafokeng Platinum (RBPlat). The platinum producer said in a statement on Thursday that Prinsloo had informed the board that he felt it was time to “move on and pursue other opportunities”. CEO Steve Phiri said Prinsloo had been responsible for several key milestones at RBPlat, among them the successful restructuring of the Bafokeng Rasimone Platinum Mine Joint Venture in 2009; the 2010 initial public offering process; concluding a R1.5 billion capital raise in 2014; and the recent Maseve acquisition. Prinsloo will remain in his current role until 10 August 2018 and the board is currently searching for his replacement.